Would a working RDF have kept Arahuhra off the rocks? The opinion that an exceptionally strong tide was the cause of the stranding of the ferry boat Arahura near Cape Stephen, D’Urville Island, on a voyage from Wellington to Nelson, early in the morning of February 6, was expressed by Captain RJ Hay, master of the vessel, in evidence at a nautical inquiry into the mishap today. The Arahura stranded in thick weather at low tide, and was later refloated. Mr AM Goulding, SM, presided over the inquiry, and he had with him as assessors Captain FW Baron and Captain AT Dowell. The Court was required to say what was the cause of the casualty and whether it was caused or contributed to by a wrongful act or default of the master or any of the officers or crew. Dr NA Foden appeared for the Marine Department, Mr CAL Treadwell for Captain Hay and the second mate of the Arahura, and Mr CR Fell (Nelson) for the Anchor Shipping Company. Captain Hay gave details of the course he had set on the night of the accident. He said he had made liberal allowances for tides and other conditions in the light of previous experience on similar voyages. The Brothers Light was obscured by the thickness of the weather. He thought the stranding must have been caused by an exceptionally strong tide. The speed of the ship was 10 to 11 knots. No reliance could be placed on a ship’s position in Cook Strait if it slowed down because a vessel was then more subject to the tidal effect. No soundings were taken. The only sounding apparatus on the ship was a deep-sea lead and the ship would have to be practically stopped before it could be used. The witness said he was keeping a good look-out and was on the bridge all the time from the ship leaving Wellington until she stranded, except for ten minutes for supper about 10 pm. He saw nothing to indicate the ship was running into danger until he saw a rock on the port bow just before the ship struck. He ordered the helm hard a starboard, stopped the starboard engine and then ordered the engines astern, but the ship struck. There was a radio direction finder on the ship, said the witness, but it was out of order that night. In reply to Mr Treadwell, Captain Hay said that low water on the night of the mishap was one foot below standard low level, according to figures supplied by the Nelson harbourmaster, and on no other occasion since September, 1939, had low tide been lower than six inches. Officers were not expected to repair breakdowns in the radio direction finder, said the witness. On this occasion the fault in the finder was found to be an internal one. The finder was tested “pretty well every day.” Usually the second mate looked after the apparatus. To the Magistrate the Captain said the apparatus had been in order two days before, and it had been tried by the mate unsuccessfully on the night of the mishap. There was no known method of calculating the variation of a spring tide, such as was experienced on this occasion, and exceptionally high or low tides meant exceptional tidal sets. It was to this that he attributed the accident. 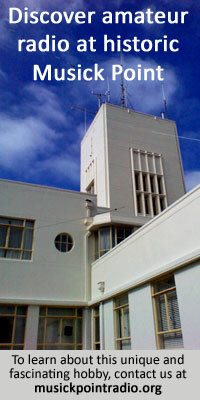 Roger Frank Greenslade, second officer of the Arahura, said he worked for two hours endeavouring to repair the direction-finder on the night of the accident. To the Court he said he thought the master’s course made ample allowance for the wind and tide. Edwin Hugh Fowler, chief officer of the Arahura, said that the direction finder was only an auxiliary and had they discovered the defect before they left port they would still have sailed. The trouble was finally found to be an internal “short” in a battery. Other evidence was given by Alfred Francis Briggs and Percy Victor Willis, able seamen, and by George Edward Harney, third engineer of the Arahura. No evidence was called by the other parties. 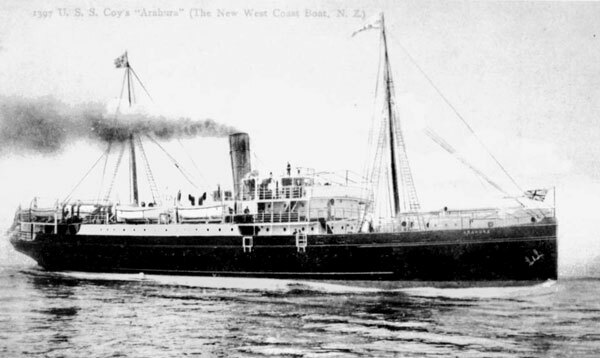 Mr Foden said that the Arahura was not required to carry a wireless operator, and the direction-finder was carried voluntarily and not by compulsion. Mr Treadwell said the master had fixed a safe course, but there had been a set of abnormal degree which it was impossible to foresee. Every reasonable precaution was taken by the master. Mr. Fell said that the radio direction finder had been installed by the company as an extra precaution. The apparatus was now to be tested in time enough before the vessel left to call in a technician if necessary. The company had every confidence in Captain Hay. The Court announced it would give its finding this afternoon.